TCA hosted a briefing for Turkish graduate students from Bahcesehir University's American Studies Program on January 23. 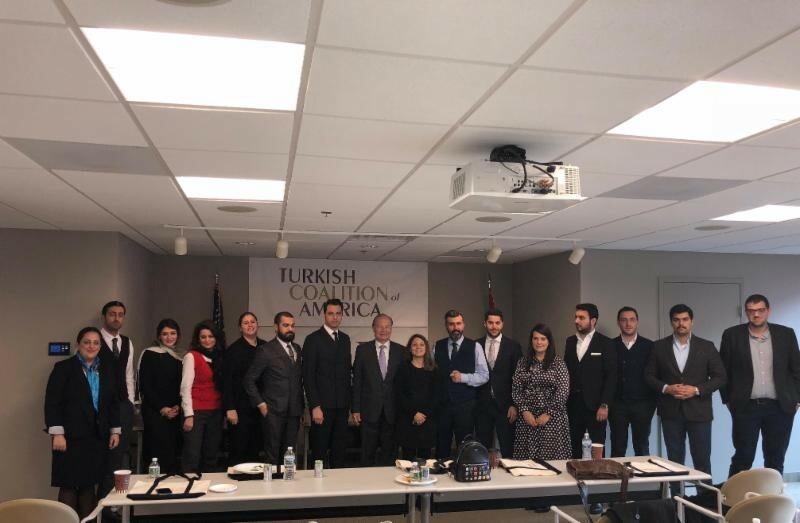 TCA President G. Lincoln McCurdy and Program Director Nilsu Goren gave a presentation on TCA's programs and activities followed by a Q&A session on Turkish American civic engagement, the U.S. and Turkish political systems, and congressional caucuses. TCA also arranged a tour of the U.S. Capitol and facilitated meetings with several congressional offices. 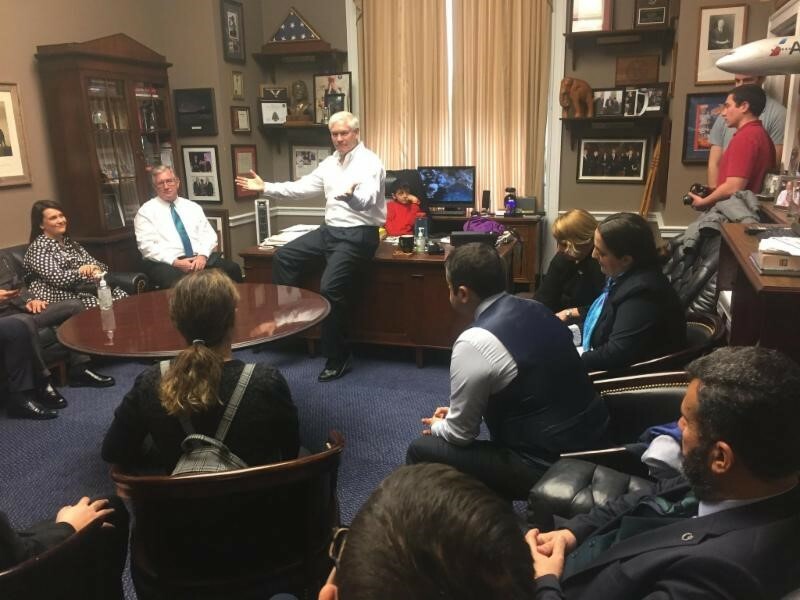 First, Republican Co-Chair of the Congressional Caucus on U.S.-Turkey Relations and Turkish Americans Pete Sessions (R-TX/32nd) addressed the group and highlighted the importance of a positive U.S.-Turkey relationship, especially in the fight against terrorism. The students then attended meetings with staff members of Democratic Turkey Caucus Co-Chairs Steve Cohen (D-TN/9th) and Gerald E. Connolly (D-VA/11th) and were briefed about the U.S. legislative process.